Please join us on August 31st from 5-8pm for MoFA’s “welcome back” opening of three new exhibitions: The 27th Annual Tallahassee International, The Cohen Collection Contemporary Native American Artists, and Master Artists of the Bahamas. Visit mofa.fsu.edu to learn more. 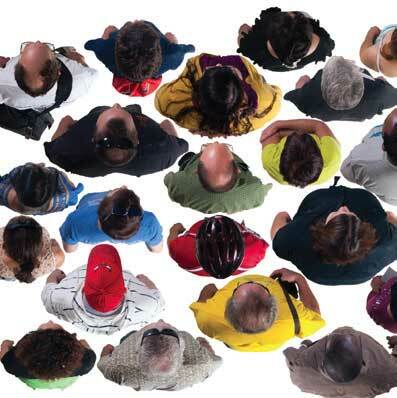 Exhibitions run through September 30, 2012 with Master Artists of the Bahamas running through November 11, 2012. An annual, juried competition open to artists worldwide with all media eligible for consideration. The pieces chosen represent a wide spectrum of contemporary work and are artistically diverse and unique, encompassing all art forms from traditional to unconventional. Jurors: Carolyn Henne and Allys Palladino-Craig. Works in this exhibition contain selections from the diverse areas of interest in the Cohen Family Collection given to the Museum in 2011 by Sonia and Stanley Cohen. The contemporary works by Native American artists include pottery and jewelry as well as painting. Graduate Students Curators: Amber Jones and Muyi lui. 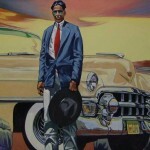 Master Artists of the Bahamas is an exhibition touring from the Waterloo Centre for the Arts in Iowa. 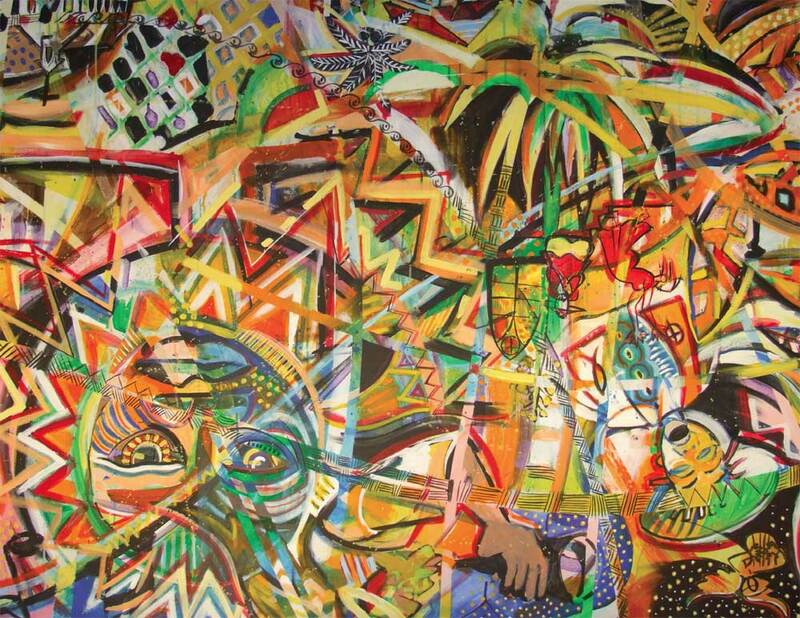 Artworks from eleven Bahamian artists acting as ambassadors for a broader generative movement. The works represent the diversity of form and content of Bahamian art. Image Top: Seung Jae Kim, occupied vacancy (detail aerial view), photographs mounted on foam core, 8 x 20 feet. 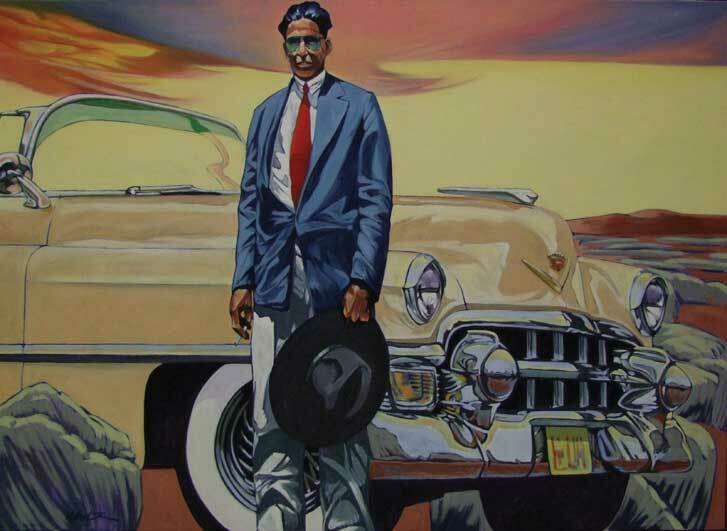 Image Center: Walt Wooten (Choctaw, African American, Irish and French), Rich Indian with his Cadillac, oil on canvas, 46 x 64 inches. 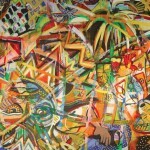 Image Bottom: Stan Burnside, Jackson Burnside & John Beadle, (detail) Jammin II, 1999, mixed media on linen.